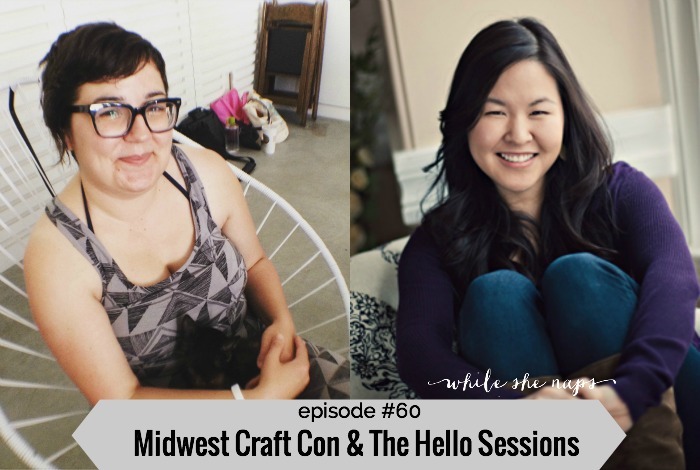 On today’s episode of the podcast we’re talking about creative conferences with my guests Grace Dobush, an organizer of Midwest Craft Con, and Joy Uyeno, an organizer of The Hello Sessions. If you’ve ever considered organizing a conference or you’d like to teach at one or attend one, this episode is for you. Grace Dobush is a freelance journalist and the author of the Crafty Superstar business guides. She’s also the co-organizer of Crafty Supermarket, an indie craft show that is celebrating its sixth birthday in Cincinnati on Nov. 28. Midwest Craft Con is a retreat for mid-career makers coming in February 2016. 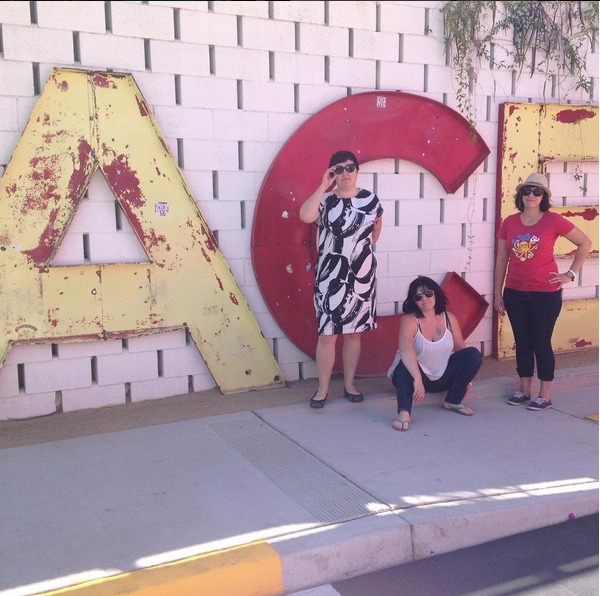 Grace and her co-organizers met up in Palm Springs to attend Yes by Yes Yes and plan Midwest Craft Con. Watch this short video to learn more about The Hello Sessions. Joy Uyeno authors the blog Frock Files and is the social media manager at Bentley University. She lives in Massachusetts with her husband and their corgi, Kona. The Hello Sessions is a workshop based conference for lifestyle bloggers and businesses that took place for the first time in October in Portland, Oregon. We talk about how conference organizers figure out who they’d like to invite to teach and speak at their events. Grace and Joy explain the role that sponsors play in making a creative conference affordable for attendees and how they make it worthwhile for the sponsors. We also discuss marketing a conference, building community before the event and continuing it afterwards, and creating the right atmosphere for attendees. 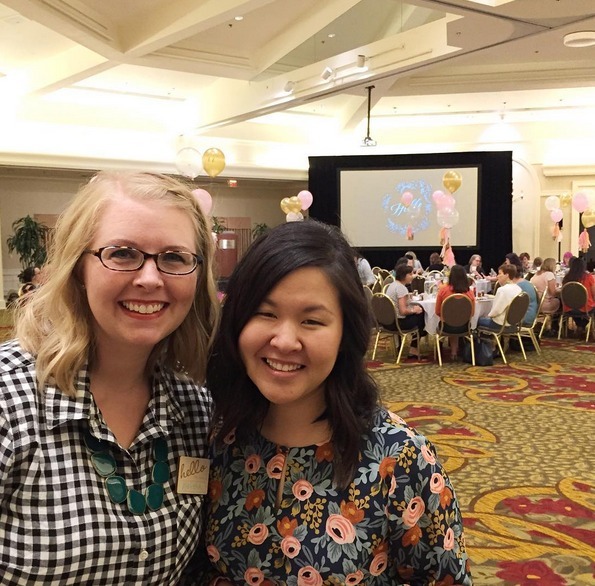 Joy and her co-organizer, Melissa, at The Hello Sessions. And, of course, I ask Grace and Joy to recommend great stuff they’re enjoying right now. Grace recommends MT washi tape and LaCroix sparkling water in pamplemousse. Joy recommends the Millennial podcast, Canva, and Google Calendar. Tickets are available now for Midwest Craft Con and you can follow them on Facebook, Twitter, and Instagram or visit their site to find out more. To be the first two know about the second happening of The Hello Sessions sign up for their email list and follow along on Instagram. Tune in to the show by clicking on the arrow below or subscribe in iTunes or Stitcher so that you never miss and episode. If you enjoy the show, tell a friend about it! Thank you. Hello. I love your podcast! I am almost caught up again. I cannot get episode 60 to play from my iTunes ap. It will play from your website. I have tried deleting it & redowmloading it many times. I went on to the next one & went back & it still will not play. Have you heard of any issues with this episode? Thank you for listening to the show! I have listened to episode 60 from the iTunes app (I listen to every episode after it airs) and I just checked again on my phone and it does seem to be playing. I also went onto iTunes on my Mac and that episode is playing fine. I wonder what’s wrong? I hope you’re able to get it sorted out soon.